Charly had always wanted an active musical life, hence why she took it into her own hands to do such a thing. Plus this project had came to be because of a friend of hers, named Peace S. Nistades, who had encouraged her to release some of the music she had created some time ago. After getting help on her artistic production, she went on to write and record an EP titled "Film Scores". The tracks are songs that were created for different short films, this EP reflecting of how well music can serve as a story. Charly says it is kind of like a resume as a composer, aside from being a singer, songwriter among other artistic traits she has under her belt. Music in the form of this EP is rather well rounded with some very creative material no doubt. "The Boy in the Mirror", opens the EP having this acoustic vision with a very mellow tone, the vocal chords being brief yet pacing, as the music is very how you say, smooth sailing. It is very soft spoken yet still enjoyable to hear. While the other tracks like "On the Road", and "Another Day, Another Lie", are about the same sense of progressive and tone of beats. They have this eeriness going for them, making these set of tracks more noticeable yet very crafting in source. How the melodies work together upon each of these tracks is very much like a bed time story type of feeling, having the essence be presentable and fun. Having a very cooling factor that makes the music more of an experience. The same ordeal goes for "Another Day, Another Lie", it has the same type of beat but it is more upbeat, kicking it up a notch or so, sounding more pop rock based but has that flare of acoustic energy as well. 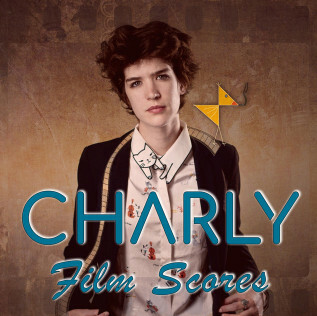 In short, Charly's EP release that is "Film Scores", has got this vibration sensation that is overpowering at times, but still very embracive too. She's an artist that is slowly taking the steps into the right direction, with this release, showing just what she can do with music.